The CEO and CFO of specialist insurance and reinsurance group Hiscox believe that post-loss price rises could last for two years, following the recent major catastrophes, and have told their underwriters to be prepared to shrink the top-line if they cannot get the price increases they seek. Hiscox is clearly looking for rates to increase and feels that pricing has declined to levels where it does not feel properly compensated for the risks it takes on. In the wake of 2017’s major catastrophes, hurricanes Harvey, Irma and Maria, as well as the Mexican earthquakes and California wildfires, the re/insurer is adamant that prices should increase and is prepared to forego business opportunities rather than keep writing at the rates seen at recent renewals. 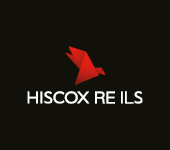 Hiscox has called for rates to rise significantly, first with a call for a “widespread market turn”, then saying it expected “material hardening” with some property catastrophe reinsurance rates up as much as 30%, after which CEO Bronek Masojada said that new ILS capital could not flow in fast enough to dampen rate rises at 1/1. So the re/insurer has been among the most vocal in calling for insurance and reinsurance rates to be reassessed and for underwriters to return to risk adequate pricing across the board, as well as looking for some level of payback for the losses suffered. 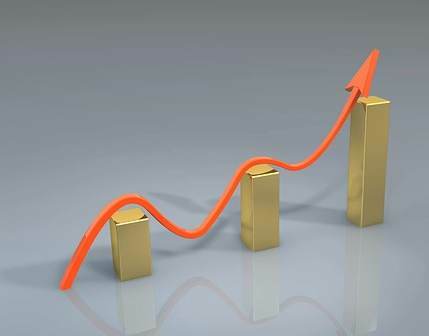 The company feels that rate rises will persist as well, with CEO Masojada and CFO Aki Hussain telling analysts from RBC Capital Markets recently that they expect the price cycle to rise for at least two years. The analysts said that while Hiscox’s senior management were reluctant to put a figure on price rises they got a sense that the re/insurer is expecting double-digit increases, based on the Hiscox business plan for its Lloyd’s syndicate that looks for 39% capacity growth, assuming 12.5% rate increases and volume rising by one-third. The management said that as price increases in 2018 won’t be felt, in terms of earned premium, until 2019 that they believe price rises could last for two years. This is likely to provide plenty of runway for losses to be earned back. The Hiscox execs also said that if estimates worsen the price rises could persist for longer, in their opinion. In fact Hiscox is not just convinced pricing is going to rise in insurance and reinsurance it is adamant that rates will increase and the management have told their underwriters to push for price increases, and if they can’t get them then don’t be afraid to cut back and shrink the top line. The management reiterated their belief that with so much ILS collateral trapped or impaired following the catastrophes, that a “wall of capital” would not be ready to come into the industry to dampen these pushed for price rises. It’s clear that reinsurance pricing is going to increase, at least on the catastrophe exposed areas of the market, in retrocession and on riskier property catastrophe contracts, but whether this will be a market-wide firming of rates is still uncertain at this time. Hiscox is pushing for broad rate rises it seems, as to are the reinsurance majors and also many ILS funds. The question is whether the desire for rate rises will be able to counteract market forces of supply and demand, if the alternative capital base can replenish itself in time for January 2018. Two consecutive years of price increases would be highly unusual at anything above low to mid single digits, we feel, based on how the price cycle has reacted to other recent major loss years, such as 2005 and 2011.